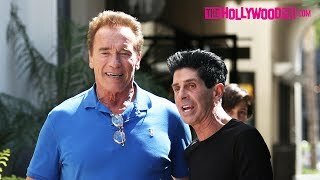 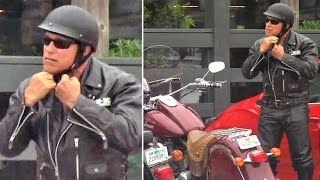 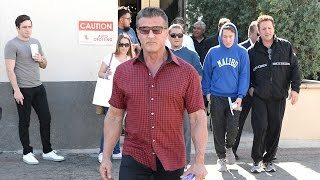 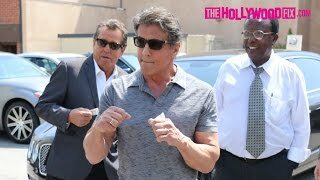 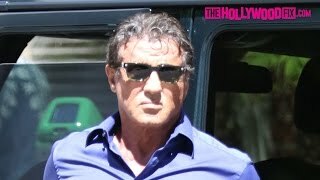 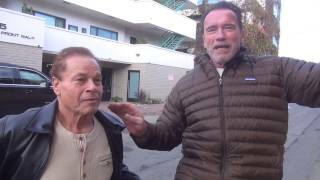 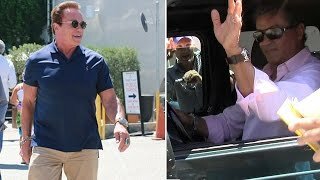 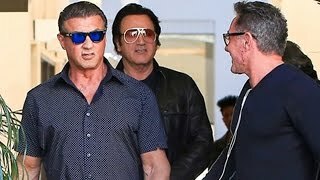 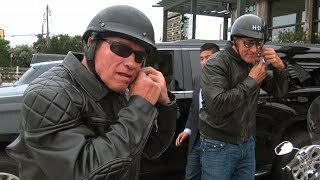 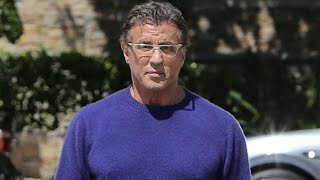 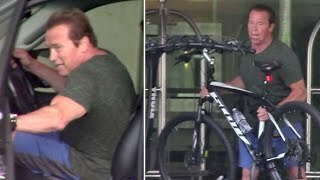 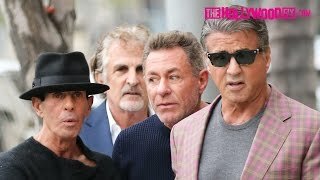 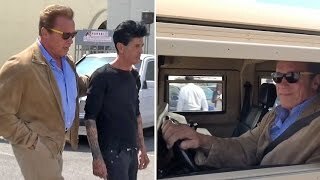 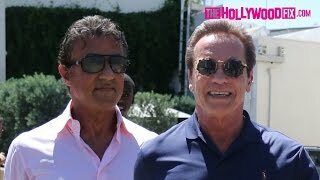 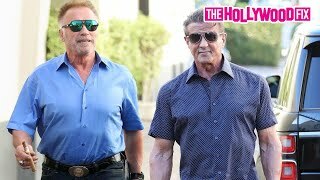 Saturday, January 16, 2016 - Arnold Schwarzenegger is loving life, leaving lunch with his girlfriend Heather Milligan and buddy Sylvester Stallone. 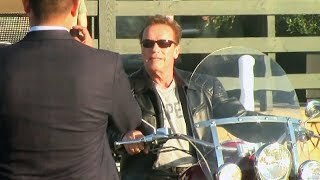 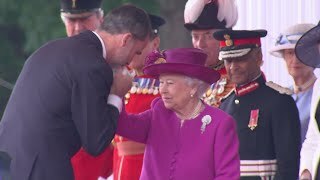 Arnold pulls out a cigar and sunglasses before starting up his silver convertible as the couple drives away. 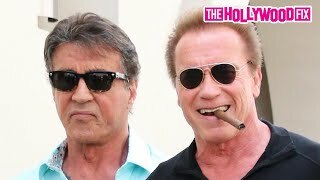 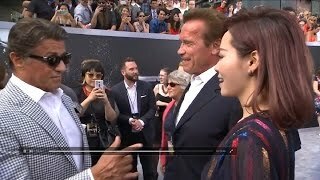 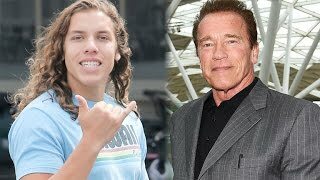 When asked about his friend's recent Oscar nod, Arnold says he's "very happy" for Stallone.